Group Discussion Ideas > Economic GD Topics > Banks levying charges on cash transactions – Is it a good move? Large banks of India like SBI, HDFC and ICICI decided to impose limit on cash transactions on monthly basis and will levy charges on cash transactions exceeding free ones. HDFC, ICICI and Axis banks started this charges from March 1st, 2017. SBI will implement this from April 1st, 2017. To manage customers accounts, banks spend a lot of money. For each account, banks spend money on stationary expenses while opening account, entering the details online, issuing debit or credit cards, maintaining the records online and offline, taking care of transactions, cyber security, salaries for employees, electricity and phone bills etc. Banks earn interest with the money deposited. But banks are in losses. So, to recover from losses, it is reasonable to levy charges on cash transactions exceeding free ones. While India is undergoing demonetization, cash transactions have reduced. But now as there is sufficient physical cash in the economy, cash transactions are increasing. As India is moving towards cashless economy, this move will encourage cashless transactions. Jandhan Accounts have no minimum balance requirement. Most of the these account holders only visit bank to withdraw pensions, subsidies etc. To maintain Jandhan accounts with no profit, banks had to levy charges on the remaining accounts. It costs a lot for banks to maintain ATMs. This move will helps in reducing the costs. Because, for example A withdrew money from ATM and paid it to B. 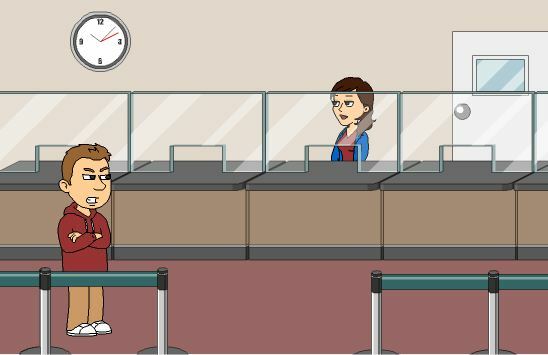 B will deposit the money in his account through ATM or bank. If many people follow this process, the costs of transporting money, security, setting up ATMs and maintaining them are a huge burden to banks. Limiting cash transactions will force customers to opt for cashless transactions, hence less costs for banks, which inturn benefits economy. Four cash transactions per month is sufficient for an average Indian. Banks have the freedom to levy charges. Rather than keeping money in savings accounts for a mere 4% interest rate and paying additional charges for transactions, keeping money in homes will become a cost-effective solution. This move will discourage people to invest money in savings accounts. If that happens, it will be a blow to banks and Indian economy as well. After demonetization move, Indian government encouraged citizens to keep their money in banks. Now, imposing charges on transactions can be frustrating to many who learned to operate bank accounts recently. While India is undergoing demonetization move, customers were denied of their right to withdraw their own money. But Indians accepted it with no direct incentive. Imposing more burden on customers is not fair. Banks are in losses because of bad loans. If they recover money from big loan defaulters, banks can recover from losses. It is much better than levying charges on middle income group. Though banks have their own reasons to levy charges on cash transactions, it will demotivate customers to use bank accounts. Banks are running on customers’ money. If customers return to the old way of keeping money in homes, whole economy will be at loss. Hence Indian government should intervene in the issue and a balanced decision is the need of the hour. Do you think levying charges on cash transactions is a fair move? Express your views in the comment section below. Photo Credits : josip2 under CC 2.0. According to me bank levy charges it is good though salaried person and middle class people they don’t have huge cash transactions . After demonization businessman also don’t have much cash transactions rather they prefer cheque . Actually Banks incurring losses, to compensate they have started levy charges but this is not enough ,Many businessman they take the loan though they have capacity but don’t want to make repayment and they siphon off the money to other account. Manager and other officials are hand in glove with the businessman they take bribe and sanction the loan , they know there are lots of loopholes inspite of that they don’t care I e banks are incurring losses. RBI should impose the strong rule they will not repay loan within stipulated time their property will be ceased by the bank and those manager and officials are involved in this racket they should be penalised and jail then they will think twice when sanction the loan then problem can solve, how much money bank will realise from cash transactions charges. Yes! Some officials do that intentionally. Strict punishments will surely help! this is not a good move // and this move ll make the customers think twice before opening a saving account .and if this happens then the Indian banks and the economy will definitely be a great loss. so to avoid this big risk the banks once again thinks about their decision. if the banks are thinking to recover their losses then they must go after the big fish and pls do stop play with middle class and the below poverty line people. People work hard day and night to earn theire livelihood. If people deposit theire money in banks to have faith in bank and bank is running while we deposit money. Bank is getting benefitted because of our money like savingg salary etc. Banks are giving only 3 to 4 % on our savings. Because of getting huge amount deafaulters bank is giving pressure by making levy charges to its common people. Govt should give directions to see alternative beside making deposit and transaction charges to common people.